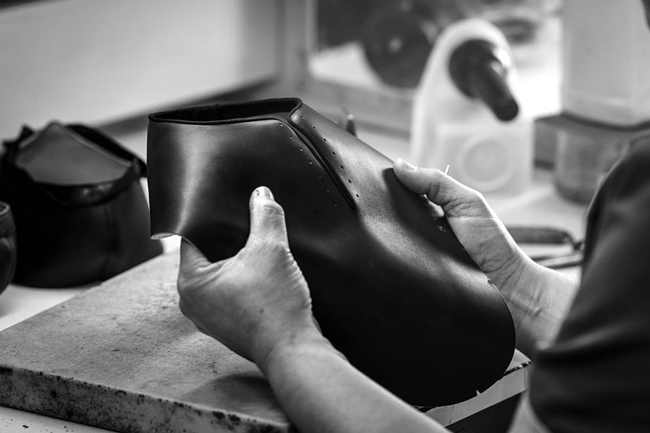 The only shoemaker with its own sole leather tannery, the manufacturer takes time to do its job at the heart of the Tannerie Bastin in Saint-L?onard-de-Noblat. Here, a few kilometres from Limoges, is where skin becomes leather. 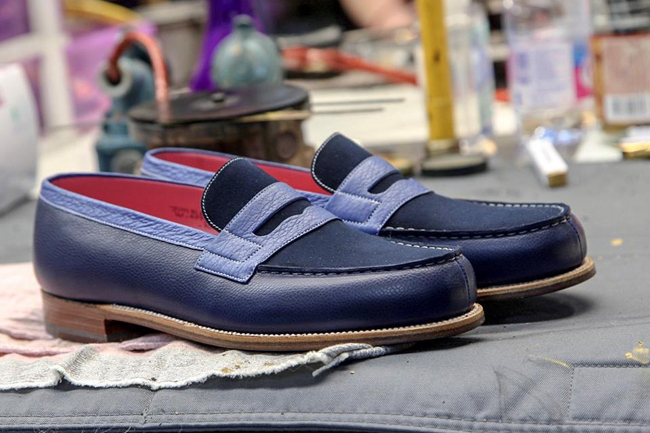 Using traditional techniques, nature, helped by man creates the best quality leather. Leather soles timeless. 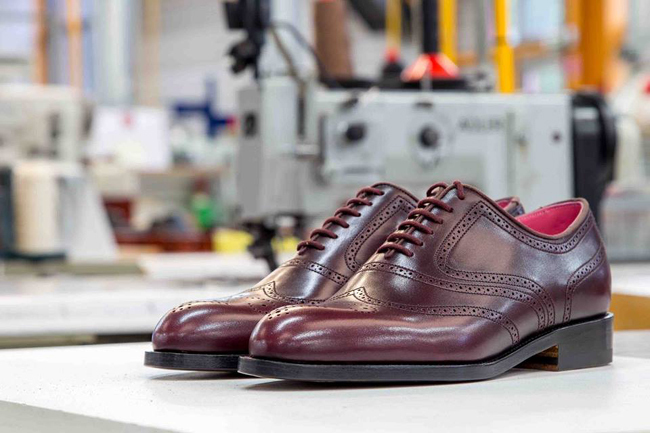 One single factory in Limoges where all the collections crafted on leather soles, are produced using traditional shoemaking techniques. The J.M. 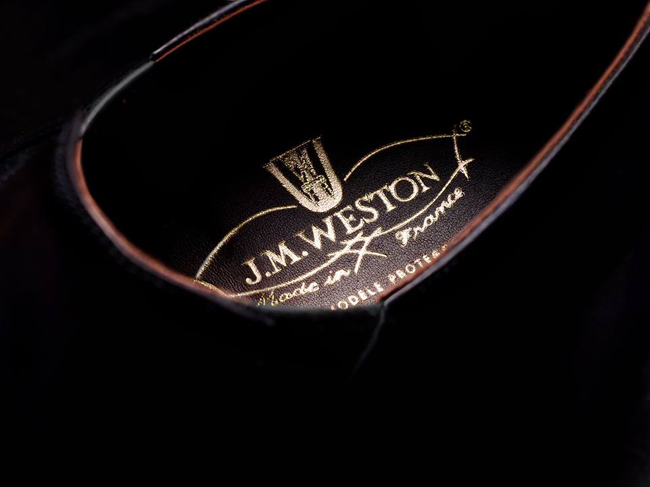 Weston shoe tells a story of skilled men and women: more than 195 employees are working in the Limoges workshops. 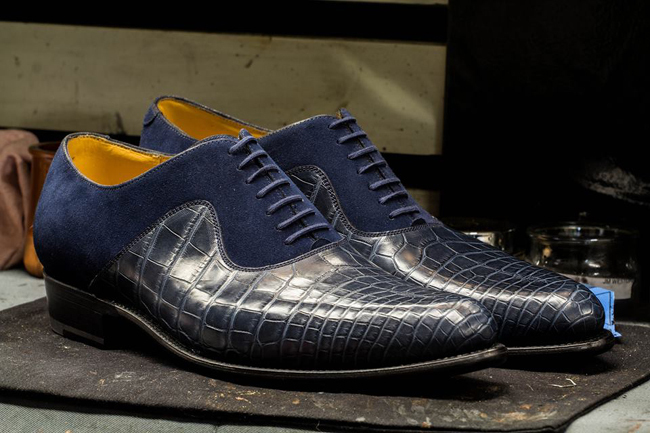 It takes two months to produce a pair of shoes and over 150 procedures are required for each model (cutting the leather, stitching the upper, cutting the sole, assembly, hand finishing, etc.). 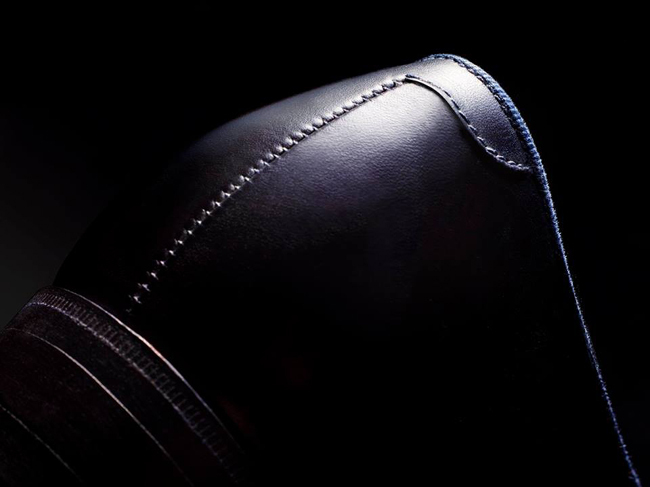 Everything is in the detail, as some things can be felt but not seen – the cotton thread, calfskin lining, leather reinforcements on each and every model.